In today’s society there is a big focus on making our homes more sustainable and energy efficient in order to reduce our impact on the Earth. Given the growth in two storey homes being built to combat the decrease in lot sizes, we have researched a few helpful tips to assist you in maximising the energy efficiency in double storey homes – though the principles are largely the same for single storey buildings and smaller dwellings. Thermal efficiency is influenced by many factors including draughts, shading of the home, quality of window glazing, the homes insulation and the height of the ceiling.The best time to address energy efficiency is when you are in the design stage prior to building the house however, it is also possible to improve or upgrade your homes efficiency if you already have an established home. When designing or planning a new two storey home you should consider using building materials with good thermal qualities such as steel framing and external cladding as opposed to bricks which absorb and store heat. Dark coloured materials also tend to attract and absorb heat, so using light coloured roofing and/or paint can help to combat this or alternatively consider specialised reflective roof tiles or metal sheeting. It is also now possible to buy roof tiles that contain solar panels which use the energy from the sun and convert it into power for the home! Good ventilation in your attic or ceiling such as ridge vents, whirlybirds and ventilation fans is an important step in maximising energy efficiency, without good ventilation the heat becomes trapped in your ceiling causing ineffective temperature control of the building. Insulation of good quality should also be used in the ceiling, walls and under the floor of your home as it can significantly reduce air transfer and improve temperatures in the upper storeys of a home. Similarly, ensuring you have energy efficient windows with no ‘leaks’ or sun-blocking window treatments can save you around 25% on energy bills alone! If you have an established home and don’t have the luxury of selecting the building materials, there are still things you can do to improve energy efficiency such as swapping out old incandescent light globes for fluorescent ones, or better yet LED lights. This alone has the ability to save you around 75% of electricity costs! Skylights in the upper level of a 2 storey home can assist with natural light and reduce the use of artificial lights during the daytime. You can also upgrade any of your whitegoods and other energy guzzlers to more energy efficient choices as well as installing solar panels to generate your own electricity. Strategic placement of trees can provide shading to the home. Trees and shrubs can be used to block out morning and afternoon sunlight on the eastern and western sides of your home. Landscaping can be used to maximise the breeze coming through your home, for example- a cleverly situated swimming pool can enable effective cooling as the result of air passing over the water. Water-wise landscaping also contributes greatly to the reduction of water and energy usage in the home. 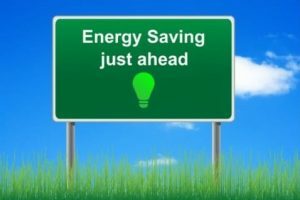 If you follow some or all of these tips, you should notice your energy usage and power costs decline fairly quickly. You may initially think that sustainable products cost too much, but the investment will be well worth it by saving you even more money over the long term.